This 2-in-1 graphite based product with premium penetrating oil breaks up corrosion to release rusty mechanical joints and threads for proper operation. 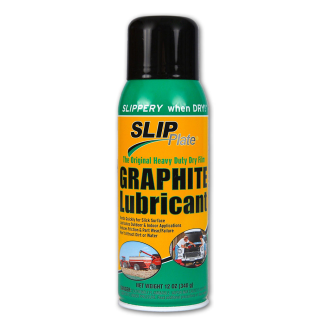 The long-lasting colloidal graphite powder in the formula reduces the friction on moving components long after the penetrating oil has dispersed. Use on adjustment nuts and bolts, hinges and pulleys. Great for pre-coating maintenance parts like screws and nuts for easier disassembly and minimizes corrosion. Thoroughly mix and agitate can prior to use. It is important that the can be properly shaken vigorously for 1-2 minutes with the mixing balls inside rattling. This will assure that the optimal lubricating mixture is produced when sprayed. Attach application straw. Insert the red plastic applicator straw in the nozzle prior to use. This will aid in reducing over spray and direct the lubricant exactly where it is needed. When inserting the straw, face the opening away from you and other surfaces as some material may evacuate from the can during this step. Apply in a well-ventilated area. Apply material as you would any typical spray lubricant. It is important to have a well-ventilated area when spraying. Apply lubricant liberally. When assembling parts, apply the lubricant liberally over all of the threads prior to assembly. When loosening corroded nuts and bolts, apply as much as necessary to break of the corrosion and allow the ultra fine graphite to penetrate. Material will remain wet and may drip. 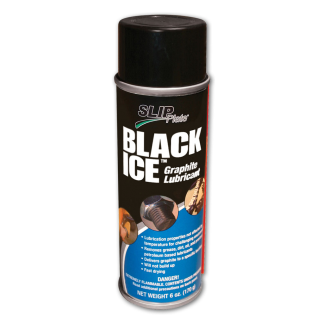 The material will not dry quickly, but over time the liquid penetrating oil will evaporate leaving graphite particles. 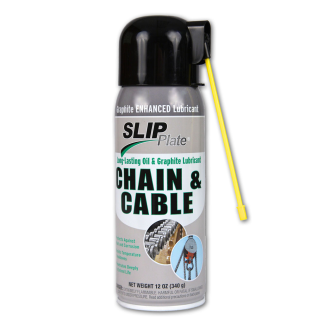 This material may drip on floors and other materials if applied heavily on overhead cables and chains. If too much is applied to a surface, use a rag or paper towel to wipe away any excess. Keep away from open flames, sparks. When applying Penetrant Plus, make sure it is in a well-ventilated area, away from open flames, sparks and other sources of ignition. Removal from surfaces. Material can be removed easily using a solvent spray, such as brake cleaner. 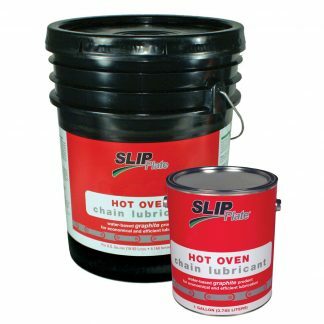 Clean up material with paint thinner, VM&P Naphtha or any other solvent. If removal is required after coating has been applied, use of paint thinner, VM&P Naphtha, or similar solvent-based cleaner is advised. Note, these chemicals may damage underlying painted surfaces, so be careful when using them. Material is a dark grey lubricant. It may drip and stain some materials. Material does remain wet for a while and may drip if over sprayed or allowed to build up. Do not use any grease, oil, or other petroleum in combination with this product as it may deteriorate the effectiveness of the graphite. Do not apply in very cold conditions (<10°F/ <12°C) as the material may reduce spray ability. Bonding agents and graphite may begin to oxidize at temperatures above 450°F (232°C), as a result this coating is not recommended for high temperature applications. Material is black, or silver-gray in some instances, and these color variations are normal. Keep away from light colored clothing.